Pablo Picasso once said: “The purpose of art is washing the dust of daily life off our souls.” Art is one of life’s greatest gifts and becomes an even greater blessing when it can be shared with others. South Dakota is known for its rich art history, and given the fact that it was, until recently, home to renowned US artist Terry Redlin, it is no surprise that the state’s annual calendar is filled with a host of popular arts and culture-related events and festivals. An art event that is well organized will leave a lasting impression, potentially turning visitors into lifelong customers. The following guidelines will help you plan an event of your own that is bound to be remembered by everyone who attended for a very long time. One thing every event organizer needs is a good team. The size of your team will be determined by the scope of your event and can consist of colleagues, friends, family members and even members of your local community. Brainstorm as many ideas as possible with your team, bouncing concepts off each other. Turning to your community for assistance could be of great benefit to you. Not only are people more likely to support an event that values their input, but you might come across some extremely talented creatives that could add potential value to your event. The venue you ultimately choose will depend on what type of event you are wanting to host. A gallery space will be ideal for an intimate art exhibition, while a larger area such as a community hall or even an outdoor space will be more suited to a large-scale arts and crafts festival. If your budget doesn’t allow for you to rent an upmarket space, don’t be disheartened. A storage unit, garage or even your local pub can, with some creativity and effort, easily be transformed into a mesmerizing setting that will do your event justice. Every event needs a well-known artist to draw people in. If you are not planning on being the anchor artist yourself, reach out to someone who will be able to attract a crowd. Even if you are planning a large event with numerous contributors, you still need a ‘big name’ that will garner interest. If people see a list of unknown names on a flyer, they will more than likely toss it in the bin. If they see a well-known person’s name, though, chances are good that they will make a concerted effort to support your event. If your town/city does not feature any artists that you believe will draw a large crowd, start searching further afield, but remember to compensate for the added expenses in your budget. Unless you are planning to hold an ‘invite only’ event, you are going to have to do extensive advertising to ensure that your event is well-attended and that you make a profit at the end of it. Sending personal invites to key players in your community is a nice gesture and is bound to raise their opinion of you. As for the general public, make sure you come up with a creative and super-effective advertising campaign that fits the feel of your event. Apart from the actual event itself, marketing and promotion is usually the most fun-filled aspect as you can really let your creativity shine through. Design posters and flyers, place ads in your local newspaper and don’t ever forget the power of social media marketing. Cleverly-worded Facebook, Twitter, and Instagram posts can go a long way in attracting attention to your event and you should utilize its power as much as you possibly can. While all of the above guidelines are extremely important when organizing an arts event, the most important thing to remember is to have fun. Allow yourself enough time to plan your event to the best of your ability, making provision for last-minute hiccups. With a solid plan and industrious preparation, your event is bound to be a huge success, even if a few last-minute gremlins do creep in. Lucy Chambers is a professional freelance writer with many years experience across a variety of sectors. She made the move to freelancing from a stressful corporate job, and loves the work-life balance it offers her. Whether you have just moved into a new home or just want to make some renovations in your existing one, an artist space is a priority. While it may seem that any desk or hard surface that can be placed at an angle will work, that’s not usually the truth. In order to really get your creative juices going, you need a space that caters to artistic freedom and creativity. That usually means a space that has your supplies organized and is inspiring, comfortable and provides lots of wonderful light. Read on to learn more. It’s hard to get in the groove and be creative when you have to keep stopping to search for needed supplies. It’s frustrating and saps away your energy. Get rid of any clutter and bring in shelves, cabinets, and other storage solutions to organize your desk stationery, paper, drawing tools and other art supplies. Your space should also be inspiring and make you happy. Paint the walls your favorite colors, put your favorite photos and artworks on the wall, and add any other personal touches that you love, such as a small plant or some inspirational quotes. The happier you are in your space, the more your creative juices will flow. Your space also needs to be comfortable. Make sure your desk is at a comfortable level and can be adjusted as needed. A drafting desk would be ideal. Don’t skim on your chair either; you’ll be spending a lot of time in it, so make sure it’s comfortable and supportive. Buy the best you can afford. You’ll also want to make sure your space is warm in the winter and cool in the summer. If it’s not, you’ll avoid using it, and that limits your creativity. There are few things more important to making good art than light. If your space is dark and dreary, it’ll be difficult to come up with creative ideas and they may not look right when you get them down on paper. Your space should have a good source of natural light from more than one direction. North and south exposures are best as they’ll give you consistent light all day. If you need to supplement, use lamps like Ott Lights, which simulate natural day light. Florescent lighting is too harsh and incandescent too yellow. Having a drawing space you love to be in will pay off big time. You’ll be happier, more creative and more productive. All you have to do is remember organization, comfort, light and inspiration and you’re on your way to a perfect art space. WHAT: PAve Bar presents “Creations & Libations,” a craft and raffle fundraiser benefitting local arts nonprofit, JAM Art & Supplies. Sorry kids, this is ADULTS ONLY. $25 includes admission into the upstairs event, 3 Free Drink Tickets* and 2 Make-and-Take Crafts. Buy Pre-sale admission to receive a free raffle ticket. Join us at 1:00 p.m. Crafting will begin at 1:15 p.m., with Woven Wall Art. Starting at 3:00 p.m., you’ll have the opportunity to learn how to make a DIY Notebook (or sketchbook, if you’re crafty like that). Raffle tickets will be for sale throughout the event. Art, prizes, and craft baskets will be raffled off at 3:30 p.m. Must be present to win! *Free Drink Tickets exclude top-shelf liquors and doubles. JAM is a 501 (c)(3) art nonprofit in downtown Sioux Falls with the mission to get art and craft supplies into the hands of people who will use them, to create an online community for artists, and to be a source of information for the Sioux Falls arts community. If you cannot draw, it just means you haven’t learned yet! Learning to draw is about mindset, practice, and joy. It is one of those wonderfully rewarding activities that does not discriminate by age or location. Drawing can be engaged in anywhere, by anyone. There are a few things that you need to get started. The 2.1 million paid artists in the United States all started somewhere. Luckily, in the virtual age that we live in, we have access to online tutorials and blog posts that sole purpose is to help with some aspect of improvement. Anyone can learn to create thoughtful portraits or stunning sunsets. Many people start by accessing a comprehensive site that shows them step by step how to complete a specific task – like a clear tutorial on drawing curly hair. Then they progress on to adding color and creating a design. Following a tutorial shows you that you can achieve when you are drawing; that is the beginning step to building your artistic mindset. One step to learning to draw is to harness the power of your mind to achieve a calm, concentrated state. A creative zone can be created by your mind, and it is what professor Mihaly Csikszentmihalyi calls ‘flow’. He states that a feeling of flow leads to a ‘loss of inner-critic’. When you use your mind to create flow when you are drawing, you can engage more fully in the creative process, and your mind often rewards you by releasing dopamine, which is a chemical that makes you feel good. Therefore, step number one to creating flow is to turn off the mobile phone – or eliminate distractions. Next, you must work on a piece of drawing that is at the right skill level for you. Aiming for something too ambitious too soon will not achieve flow and will, instead, plunge your brain into anxiety, where you may become distracted and even bored. Learning to draw sounds like something that needs to be solitary. In actual fact, you may respond better if you are surrounded by like- minded people, building a sense of community and engaging in the same creative task. Drawing with your children, your grandmother and even your date can keep your spirits high, and they can sometimes celebrate success where you are slow to see it yourself. Some people have found that organizing craft or drawing parties softens their entry into the creative scene and makes the experience accessible for all. Anyone can learn to draw. With a continually developing mindset that sets you up for success, and a community to support you, it can be a truly joyous all-encompassing activity. Why not get started today? Once again, federal funding for the arts has been spared. The $1.3 trillion budget signed Friday by President Donald Trump continues support for the National Endowment for the Arts, National Endowment for the Humanities and other agencies he sought to eliminate. It’s the second straight year Congress restored funding in response to Trump’s calls for ending such programs as the NEH, the NEA and the Corporation for Public Broadcasting. The money is used for everything from scholarly research to local theater productions. The NEH and NEA each will receive $3 million increases, to just under $153 million per agency. The CPB’s budget was kept the same, at $465 million. The Institute of Museum and Library Services is getting a $9 million increase, to $240 million. via KSFY. To view more, click here. 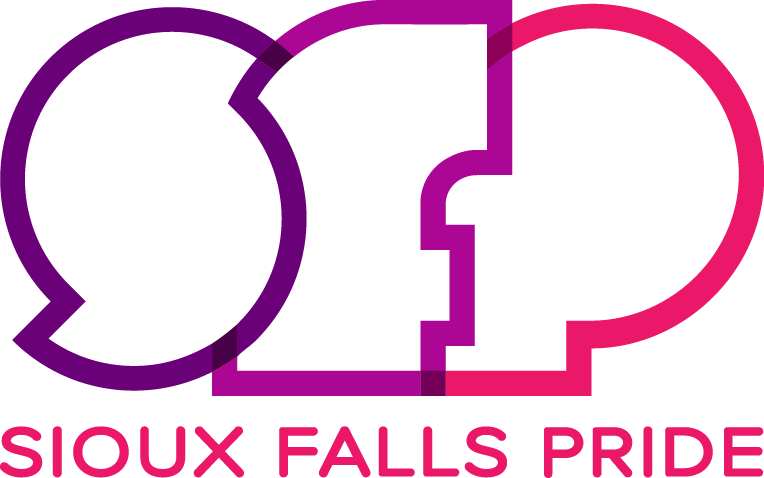 The contest is simple: create a design that represents the celebration that is Sioux Falls Pride and the vibrance of the LGBT community. 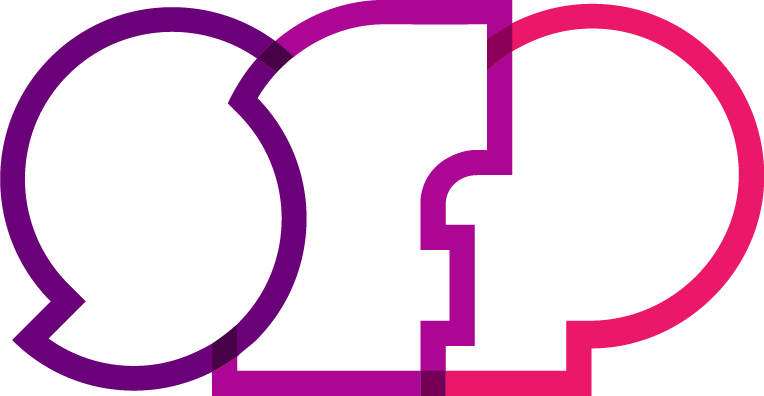 Our Sioux Falls Pride theme for 2018 is Unity! Join us in our annual contest and help spread some hope in a time when it’s needed most. *If you’re not particularly Photoshop or Illustrator savvy, that’s okay. If your design is selected, we can work on getting your design into the appropriate format for the t-shirt printers. Get creative with the 2018 theme of Unity. Be expressive. Go minimal & geometric or detailed and hand-drawn. The choice is yours! Email entries to info@siouxfallspride.org with subject line: SFP T-shirt Contest. Submissions due April 20th, 2018. The Eide/Dalrymple Gallery at Augustana University will feature wall-mounted sculpture in its latest exhibit, Erica Merchant: Fossilized Reflections. The exhibit runs Feb. 8 – March 9. A gallery reception will be held at 7-9 p.m. on Friday, Feb. 16, featuring an artist’s talk beginning at 7:30 p.m.
Merchant’s work is non-traditional and yet timeless. She transforms contemporary materials through atypical means, such as carving, burning, and melting house insulation polystyrene and bioplastics. She also employs historical and ancient building techniques to create many of her pieces. For example, in such works as “Step, in situ,” Merchant uses a rammed-earth building technique: a traditional form of building across many cultures and time periods whereby material is layered into a wall-form mold and then compressed to 50% of its original size. Merchant takes “sediments” from her life — “cereal boxes, my daughter’s shoes and dresses that she wouldn’t take off, bills I had to pay, weeds we picked together on sunset walks, VHS tapes she watched 1,000 times…” — and then breaks, crushes, and shreds them. Merchant compresses this new raw sediment into wall molds that, when complete, create windows “into the strata of our home/life/oikos.” The resulting works are haunting in their dual invocations of destruction and preservation — powerful metaphors for the fearful passage of time, nostalgia and memory that bring both loss and transformation. In other works, such as Rebuild, Remain, Merchant “casts” her own personal fossils. She might begin by crocheting a hat or doilies — markers of the feminine and childhood. She then dips them into ceramic slip and fires them in a kiln to fossilize them. Merchant embeds the results into a plaster or lath bed that become the core of her compositions and wall hangings. Domestic and personal forms become archeological discoveries that encourage contemplation and inspire a range of free associations. Merchant’s artworks have been exhibited around the region, including in the 6th Annual Governor’s Biennial. She has also taken part in exhibitions at the South Dakota Art Museum, Washington Pavilion Visual Arts Center, the Apex Gallery in Rapid City, Black Hills State University, and is regularly featured in Sculpture in the Hills exhibitions in Hill City. Her recent solo exhibitions include at the Sturgis Public Library and Minnesota State-Fergus Falls. In 2015, her work was a part of Venice Edition III, Artemotion (vending machine) at the Venice Biennale. This exhibition is funded in part with a Project Grant from the South Dakota Arts Council, with funds from the State of South Dakota, through the Department of Tourism, and the National Endowment for the Arts. Centuries ago, Aristotle discovered the six substances of compelling art. Why art? Sure, Aristotle coined them for drama, but these elements apply to all forms of art. They are the elements that draw us to mediums: movies, music, paintings, speeches, etc. I like to apply them to writing. Like a general contractor wielding raw materials, these elements determine the type of structure we will create, and make it livable, or even more importantly make it enjoyable. What are the elements and their purposes? How much of each is one to use? That depends on the type of structure we want to create. Continuing with the structure analogy, let’s explore each element’s purpose. Some buildings have an elaborate frame segmenting various types of rooms, some are minimal and more open. The same goes for the plot. In a story, plot determines where everything goes. Plot-focused works are like an office building. Plot points are rigid. They need to be placed in proper order (not necessarily chronological) to keep a story compelling. Mystery and Thrillers tend to be heavily plot-centric. Other element-focused works may be more like a studio apartment (or a tee-pee). Even then, if the sequence of events flow illogically or dully, it can kill a story. Even static visual arts carry a plot or tell a story. Well placed elements draw focus to particular plots and helps move an audience through the piece in order to absorb the story. Frame, walls, and roof are the essentials of a building. They are enough to protect us from the elements. (Not enough to make us want to live there.) Add walls and a roof, then a house looks like a house. Likewise, add characters to a story, then you have the elements to drive a plot. I mean, how can you have conflict without characters conflicting. But, character is more than a driving force for the plot. It’s a work’s personality. It’s an audience’s means of injecting themselves into the medium. We want someone (or something, people aren’t the only ones with personality) to identify with. Dramas and comedies are often character-centered. A structure’s wiring and plumbing work out of sight, as does diction (sort of: depending on its purpose and how well it’s done). An oversimplified definition of diction: word choice. The purpose of diction is choosing and organizing words in a manner that lets people fully understand your message. A connotative understanding. It’s the seeking and straining for the right words to express our thoughts, to get other to feel the way we what them to. We do this primarily via grammar and voice. Grammar, eh, following those universal rules that the masses have agreed to adhere to. Voice adds the shades of meaning that enable an audience to get inside the artist’s head to understand them deeper. And, diction’s function is not to draw attention to itself. Nothing invokes certain moods in a house more than the décor. The color of paint, the plushness of the furniture, the fabric of the curtains. Décor creates an atmosphere, as does music in art. Music, however, is not solely our denotative understanding of the word. In Aristotle’s understanding, it is the overall flow and rhythm of a work. In painting it is the length and shape of the strokes. In writing, it can be word choice according to the way words sound or flow. Sentence and paragraph lengths. I sometimes find diction and music butting heads. One word describes something better, while the other word sounds prettier, or harsher, or more monotone (all depending on the mood I’m going for). A great book that explores the elements of Music and Diction is Sin and Syntax by Constance Hale. Yes. A house is still a house even if no one lives there, but it is pointless. And, a story is a story, even if it doesn’t have a theme. Themes are what we have to say. What we want others to learn. What we want our audience to think about. I don’t know how many struggle with what they want to say, but I struggle with how to express my themes. I could go right out and say, “I believe you should…” But, compelling art gets people, even those who rabidly disagree, to ponder themes. The more radical the theme, the harder it is make our expression of it compelling. A flashy car pulls into the garage, an infinity pool whooshes in the back yard, and marble counter tops make even spoiled fruit look tempting; these all get the neighbors to drop their jaws. But, they are not necessary. Aristotle said spectacle was the least important of the 6. Although, many modern-day action flicks start with spectacle and then build the other elements around it. Well… Who doesn’t love a good explosion? So, what is spectacle? Anything that makes us say, “Whoa, that was cool.” In writing, it might be a detailed fight scene…or a graphic scene…maybe, it’s a good gimmick. And, while I understand that these elements are the keys to compelling art, the implementation of each is a subjective wilderness. Are there any tricks you use in each of these areas? Which is your forte? Let me know. Author of Caveat Ties, Soul Shocked, and Zaide: Mozart’s Lost Opera, Rollan Wengert spent hours in his room typing stories as a youth. Stories of all kinds. Stories that were never finished. Then, he grew up. Hints flowed, that maybe, he ought to choose a ‘realistic’ career path. So, he did what any confused teen would do: joined the army. Four Army and another four college years later, he began writing again. THERE’S STILL TIME TO APPLY! has been extended to Feb. 15. Exhibit and sell your art during the Orange City Tulip Festival, a celebration of the community’s Dutch heritage that draws thousands of visitors every year. For more information, email artburst@octulipfestival.com or call 712-707-4510.